PM resumes duties Friday morning after undergoing operation Thursday night. Israeli Prime Minister Binyamin Netanyahu returned to work on Friday after surgery to remove kidney stones, his office said. The operation came just days after US President Donald Trump visited Israel on his maiden foreign tour. "The medical intervention under anesthesia was successfully carried out at Hadassah hospital in Jerusalem," a statement said. "The prime minister has recovered and resumed all his duties." During Thursday evening's operation, Environment Minister Ze'ev Elkin, a fellow member of Netanyahu's Likud party, assumed the role of acting prime minister. 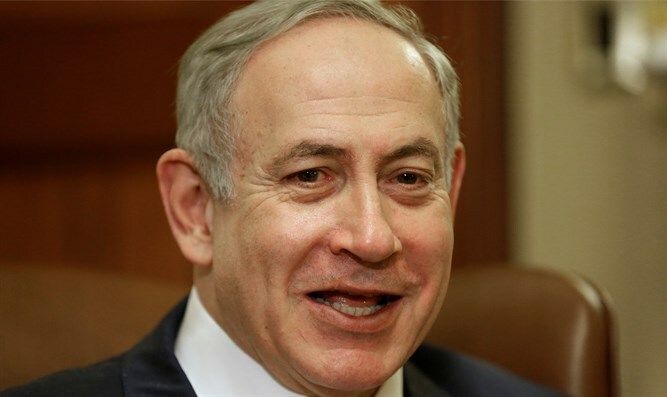 Netanyahu, 67, has had several minor health problems in recent years. He underwent colonoscopies in both 2014 and 2015. In 2013, he was forced to take a few days off after a hernia operation and was also briefly admitted to hospital for treatment for a sinus infection.